C. T. Culpepper, M, 20, Boarder, S, GA TN TN, Farm Laborer. 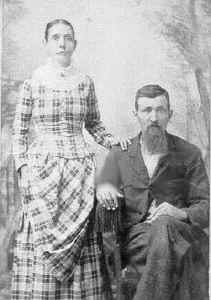 Charles T. Culpepper and Luella J. Reffy, 4 Jan 1891, Johnson Co., TX. Edward Leroy William Culpepper, 25, Orange, TX, born 14 Dec 1892 (sic) in Alvarado, Texas; Works as a ?? in Shreveport, Louisiana. Single, Caucasian, Claims exemption from service based on asthmatic condition; Tall height, slender build, gray eyes, light brown hair, not bald, no disabilities. Registered 5 Jun 1917 in Orange, Texas. Mack Culpepper, 24, Orange, TX, born 26 Feb 1893 in Alvarado, Texas; Works as a Ship Carpenter in Shreveport, Louisiana. Single, Caucasian, Claims no exemption from service; Medium height, ?? build, gray eyes, light brown hair, not bald, no disabilities. Registered 5 Jun 1917 in Orange, Texas. John Culpepper, M, 23, S, TX GA GA, Carpenter-Ship. Ella J. Culpepper, Wife, F, 60, M, md@22, GA SC GA.
Charles T. Culpepper, Jefferson Co., Feb 5 1936, 9467. Said date of death was 15 Sep 1972. Louella J Culpepper, Female, Widowed, died 23 Sep 1972 in Dallas Co., TX. John Culpepper, M, 61, and Alice Cleora Nichols (Mrs.), F, 42, married 31 Jan 1958 in Harris Co., TX. Elizabeth Culpepper states she is the widow of Amos A. Culpepper who died 15 April 1923 in the county of Bastrop, Texas. (Note her application also says he died the 15th). She says, "I was married to him on the 29th say of November 1868 in the county of Carroll in the State of Georgia." (Note her age as she maybe couldn't remember for sure of the county as Terrel stated in CC site?) State's her age as 76, born in Georgia and been in Texas 50 years. Resided in Red Rock, Texas 15 years. Affidavit of Witness were Mrs. A.L. Harris (would be daughter Julia married to Alonzo Harris) and Grover King. Application For Mortuary Warrant; J.R. Culpepper (son Joel Rudolphus I assume, lived at Dale, TX) handled warrant and she died in the home of daughter; Mrs. A.L. Harris (Julia). Elizabeth Culpepper, died 20 Mar 1928 in Bastrop Co., TX, 9380. Addie J. Culpepper, Daughter, F, 1, S, TX TX TX. Obituary of Joel Rudolphus Culpepper, published 27 Feb 1964 and submitted by Loris Brewer. G. S. Tanbott, 57, M, Farmer, $2500/$5900, State? George T. Culpepper, 4, M, GA.
Nora Lee Culpepper, Johnson Co., Nov 17 1936, 55647. John W. Dail was born 1837 and died 1862. William Dail was born 1838 in Georgia. Evaline M. Dail was born 23 May 1839 and died 5 Mar 1933. Hespia Dail was born 1841 in Georgia. Green B. Dail was born 1843 in Georgia. Martha S. Dail was born 1844. Elizabeth Dail was born 10 Sep 1846 and died 20 Mar 1928. Pressian Dail was born 1848 in Georgia. Delaware Dail was born 1850 in Georgia. Mary Ann Dail was born 1853 in Georgia. Nancy L. Dail was born 1857 in Georgia. the ripe old age of 94! Not too long after the picture of my grandmother Culpepper was taken she became ill. My Aunt Janie (Willowdean's mother) had her brought to Lockhart to stay with her. My grandmother was eventually diagnosed as having stomach cancer and she ultimately died there in Aunt Janie's home in January 1939. That was just about the end of my grandfather Culpepper's farming days. He had to give it up in 1940 as he no longer had farm hands to help him. All his boys had gone into the service and all the girls had long since married. Uncles Reuben, Dean, and Paul, were called up with the Texas 36th Infantry Division in 1940 and Uncle O'Neil went into the CCC and then joined the Marine Corps shortly after Pearl Harbor. Late in 1940, my grandfather then went to Red Rock to live with Aunt Lora, his oldest living daughter. He died there in 1944. 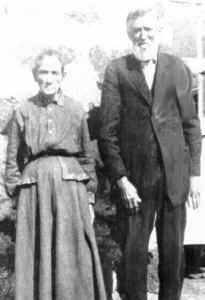 John Culpepper, Red Rock, TX, age 25, born 27 Jul 1891 in Red Rock, Texas, Farmer for self at Red Rock, Texas, Wife and 2 children are dependent, Married, Caucasian, Tall height, Stout build, Brown eyes, Black hair, Not bald, No disabilities. Registered 5 Jun 1917 at Bastrop Co., Texas. George Byron Culpepper, 24, of Whitsett (Live Oak Co.), Texas. Born 30 Nov 1892 in Bastrop Co., Texas. Self employed farmer in Live Oak Co., Texas. Single, Caucasian, no dependents, no military experience, and no claim of exemption from service. Medium height, slender build, light blue eyes, light hair, and not bald. Right eye's sight is defective. Registered 5 Jun 1917 in Whitsett, Live Oak Co., Texas. Edward Bryan Culpepper, 21, of Campbellton (Atascosa Co.), Texas, born 16 Sep 1896 in Red Rock (Bastrop Co.), Texas. 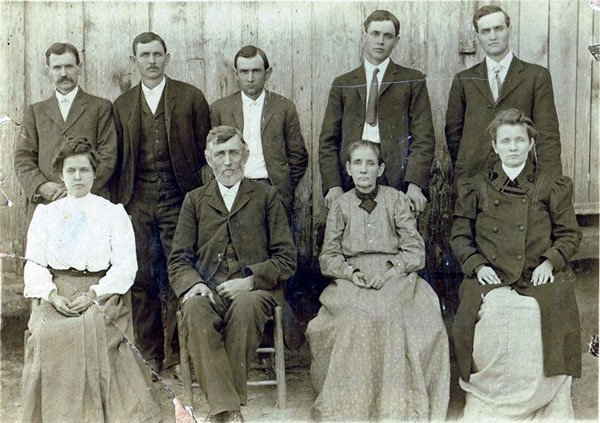 Employer and nearest relative: E. L. Culpepper (father), Campbellton (Atascosa Co.), Texas. Caucasian, medium height, slender build, brown eyes, light hair, and no disabilities. Registered 5 Jun 1918 in Oakville, Live Oak Co., Texas. Amos Culpepper, Brother, M, Apr-1880, 20, S, TX GA GA, Farm Laborer. Aurther L. Culpepper, Son, M, 3, S, TX GA TX. George Byron Culpepper, Caldwell Co., Oct 20 1938, 44576. E-mail written Dec 2012 to Warren L. Culpepper from Lynda Millicent Parker (gd/o #4674), e-mail address. Yesterday, we went to McMahan to attend services at the Bethel Baptist Church, primarily because we had never been to services there before. As you know, our g-grandfather, Amos Allison Culpepper, was Elder for that church from 1900-1903. As you might expect, people came up to introduce themselves to the 'strangers'. 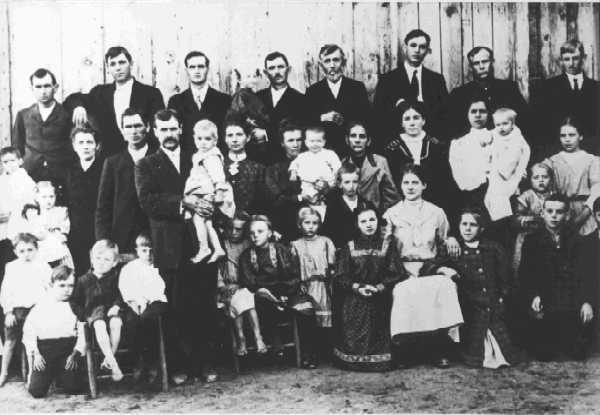 Of the people who came up to us were three brothers with the family name of OWEN, the eldest ninety years young. He remembered Amos Culpepper. Another brother, Curtis Owen told me he knew all of the children of Amos Culpepper (except for my grandfather, Will, who had left the area in 1918) and as well as many of their children. Of Amos' children, he seemed to know Ed, Joe, Paul, and Allie best. He told me a little story about your grandfather, Allie. He said that in his later years, Allie was blind -- something I had not heard before. It seems that one Sunday, Allie came to church and was talking with Curtis. Sometime during the conversation Allie said to him "Would you look into my wallet? I think there is a dollar in there and I want to give it to the church." Curtis did as he was asked and said that the lone dollar was all that Allie had in his wallet. Curtis then said to me "That will make you stop and think -- a blind man giving his last dollar to the church because that is what he wanted to do." This form of his name is as recorded in the family bible by Edna Inez Tally Culpepper. Alley Amos Culpepper died 10 Jan 1961 in Travis Co., TX. Cecil P. Culpepper, 1 Apr 1910 – 28 Aug 1979. Cecil Culpepper, Son, M, 1/12, S. TX TX TX. Cecil Culpepper, Son, M, 9, S, TX TX TX. Earl L. Culpepper died 26 Nov 1947 in Travis Co., TX. Sam P. Johnston, Head, M, 52, M, md@29, TX SC AL, Laborer-County Rd. Ruby W. (Johnston) Culpepper, Daughter, F, 19, M, md@19, TX TX TX. Ruby Culpepper, Female, died 3 Nov 1979 in Johnson Co., TX. Benjamin Franklin Culpepper, Male, died 7 Oct 1996 in Johnson Co., TX.